OK, I only got to do 2 of the three iterations of Week 2 of the Couch to 5K in 8 week podcast this week but I also went into the gym for two conditioning/strength training sessions. My sister had a problem downloading the podcast from the site so my recommendation is to go to the iTunes Store and do a search for “Couch to 5K” and download the podcast from there. 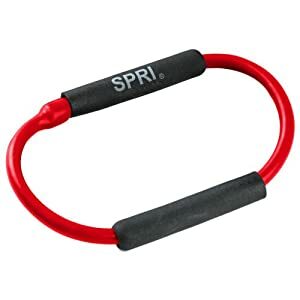 Next week is full of travel for me again so I will try to do more at-home exercises with the SPRI Xering I think I need to strengthen my legs so I can help my knees …. Today was another rest day so I thought I would take some Home Fitness Tests for sit ups, push ups, and stretching. I skipped the step and vertical jump tests in consideration of my bad knees. Overall, I’m feeling fairly satisfied. Now all I need to focus on is getting my weight down. I did 32 push ups for the Top End Sports Push Up Test at Home [with one 10 second break after the first 20] so that also was excellent for a woman my age. Yes, I cheated and saw how many I needed to complete and didn’t bother doing more than that. LOL According to the Sparkpeople.com site, I’m only average but they allow for modified push ups for women. I did 54 sit ups in 60 seconds, which according to The Top End Sports Fitness Test, is excellent for a woman 46 – 55 years old. I’m excellent according to the Sparkpeople.com site as well. Woo Hoo! I was only average for the Top End Sports Sit & Reach Flexibility at Home test. This simple test is designed to measure the flexibility of your hamstrings and lower back. The sit and reach test has long been used as a test to represent a person’s flexibility, though actual flexibility may differ around the body. I didn’t have a step so my results may not be accurate but close enough. 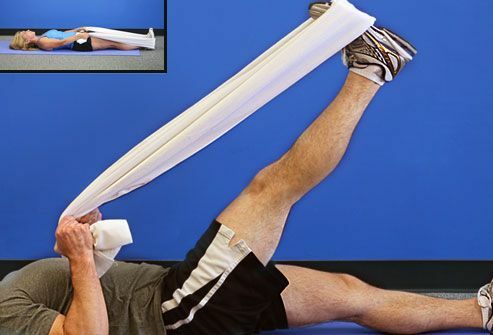 These are exercises geared to address osteoarthritis but will generally strengthen your knee muscles. I liked these exercise particularly because they are pretty simple and I might even manage to remember them every once in a while! Week 2 of the Couch to 5K Begun! Week 2 comprises a 5 minute walk followed by 5 intervals of a 2.5 minute easy jog and a 2.5 minute walk. The podcast finishes with a 5 minute walk. The added 30 seconds on the easy jog weren’t problem but it could have been that my jogs aren’t very fast…. I am PSYCHED that I could finish it despite my fatigue from the week. Woo Hoo! Finished Week 1 of the Couch to 5K in 8 Weeks Podcast! Congratulations to me! I managed to do the Week 1 of the Couch to 5K in 8 week podcast three times this week! I have my fingers crossed that my family will join me in doing the 8 week training– it would be nice to have company. Click on this link for a runner’s map of Prospect Park:. If I complete the 8 week cycle in time [not guaranteed as I tend to travel a bit] I should be able to jog the entire loop without stopping by the beginning of March! That’s my goal! I’m not sure I’ve done that in about 6 years!